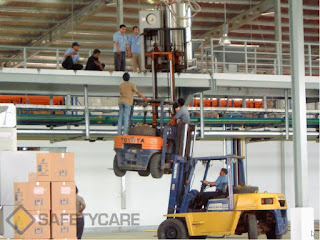 Workplace Safety Blog | Safetycare | Safety Training Videos | Free Safety Pictures and Resources: Forklift shocker! This is not really the way to get those extra few feet required when using a forklift! Forklifts are one of the leading causes of injuries and fatalities in the workplace. Feel free to save and use this image in your training session, just click on the image to open a high resolution version. 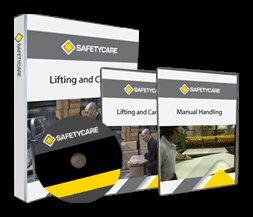 We have a Forklift Safety Training Course Pack which contains a DVD and a training course manual. It's a comprehensive, cost effective training bundle. Well worth it . . . even if your forklift operators aren't as bad as those in the picture! Click here for more info.